How do you say fast in Italian? 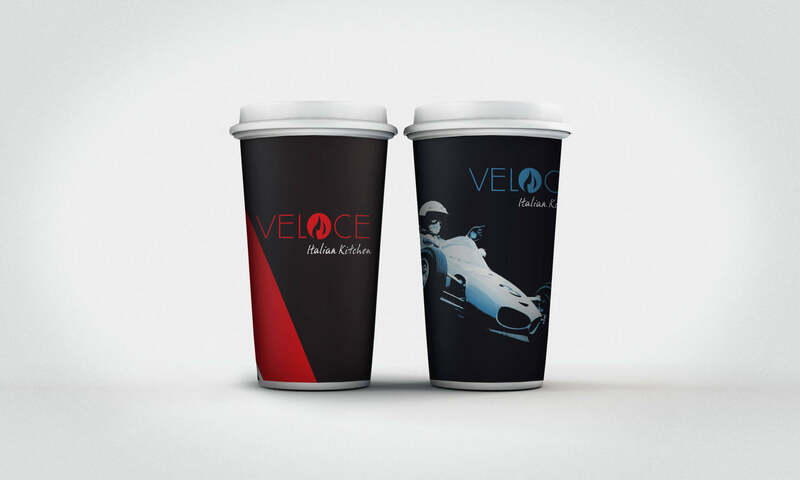 Veloce. 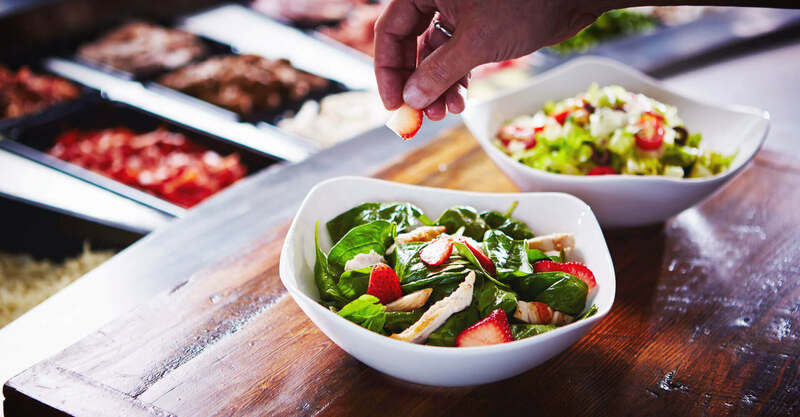 Ladies and gentlemen, start your engines and get ready to sink your teeth into some delicious Italian pasta, salad and stone-fired pizza. 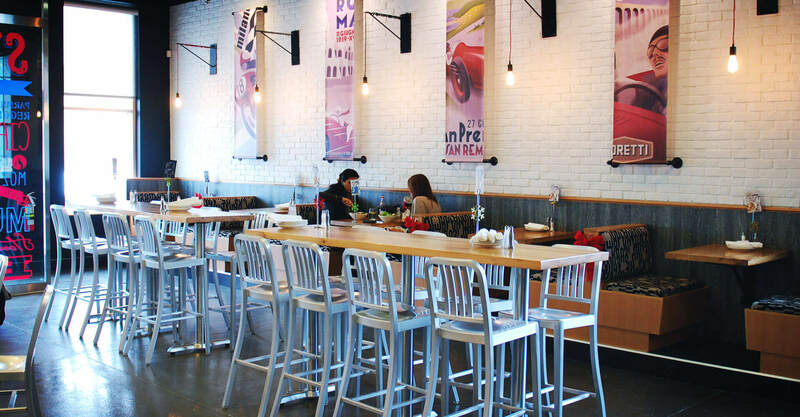 Putting the fast in fast-casual, this Italian kitchen concept fires up some of the best wheels in the business. 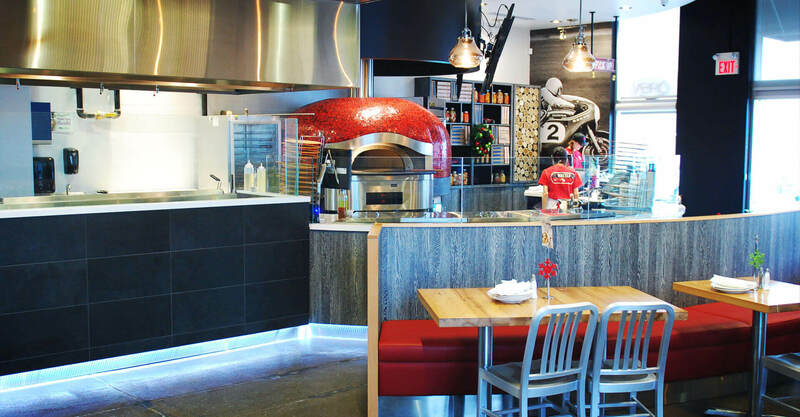 The owner and operator of legendary Armando’s pizzeria in Windsor, Ontario was looking for a fast-casual concept he could build fast, and franchise faster, putting Veloce into strip malls and neighbourhoods across southern Ontario. 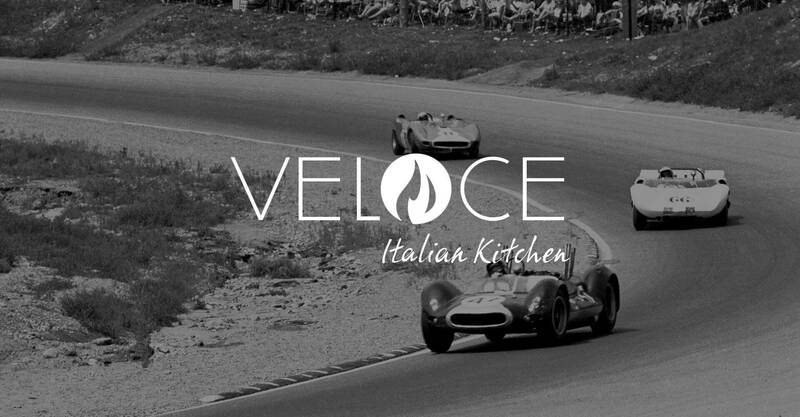 The rubber hits the road for Veloce in their open kitchen, where chefs drive pizza and pasta perfection with quality ingredients and a quick-to-the-table stone-fired pizza oven. 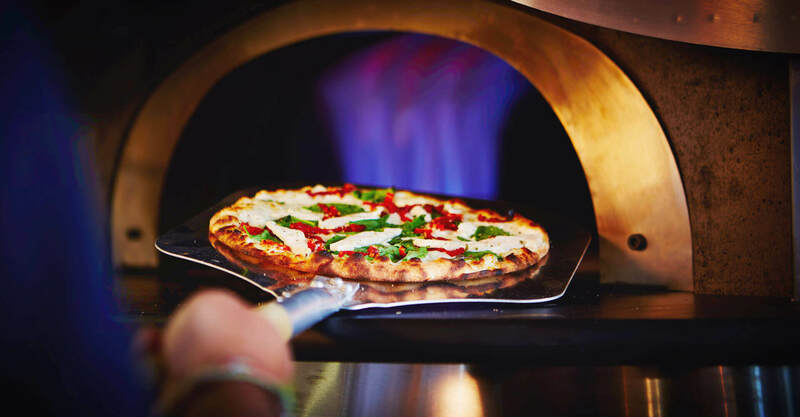 Using the same principles of hospitality and attention to detail that grew Armando’s to 12 locations, Veloce serves up authentic Italian, but in a fraction of the time. The brand mantra, “Where Fast Meets Feast”, tells guests everything they need to know about the experience. 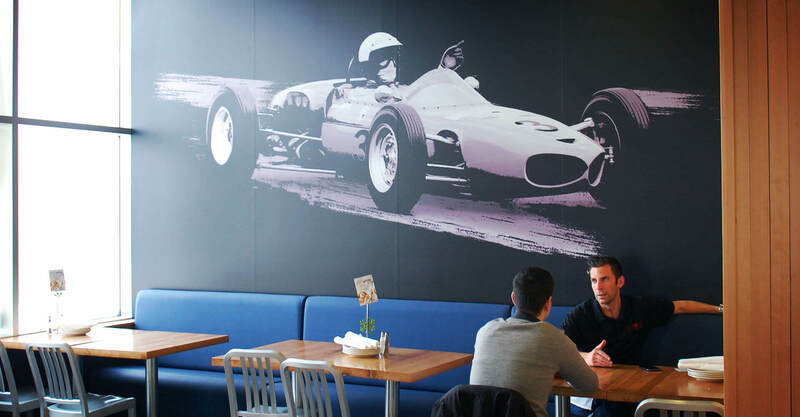 Inspired by the owner’s passion for racing and Italian race cars, the speed motif is evident throughout the space. We explored naming options and logos until we arrived at the current mark, which was trademarked and uniquely ownable. 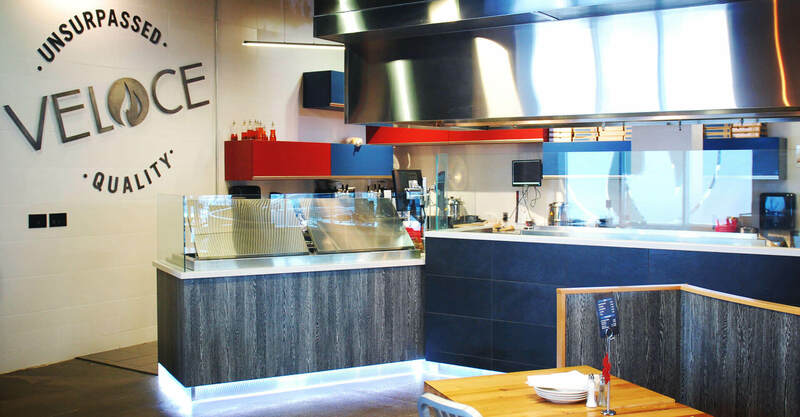 The menuboards, restaurant interior, exterior, signage program, and décor program were all developed by our team with the same attention to precision and craftsmanship that characterizes Italian racing, and cooking. We travelled to London with a food photographer in order to capture photography of both the cooking processes and the final dishes, so we could use imagery to encourage trial, in print, in the environment, and online. 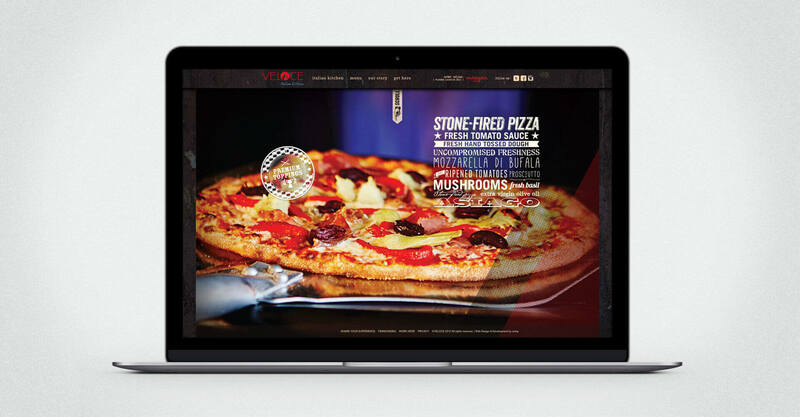 Last, we developed takeout packaging, pizza boxes, takeout menus and uniforms that further defined the brand voice and built out the brand. 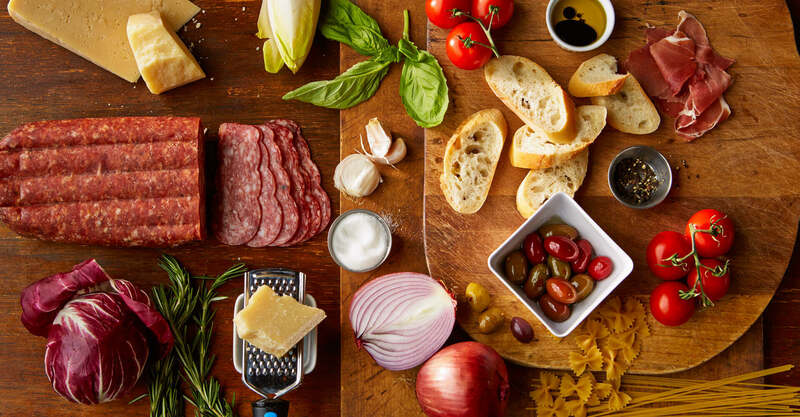 On the website we featured incredible, mouthwatering food images, always supported by the racing motif and the nostalgia of the Italian kitchen. 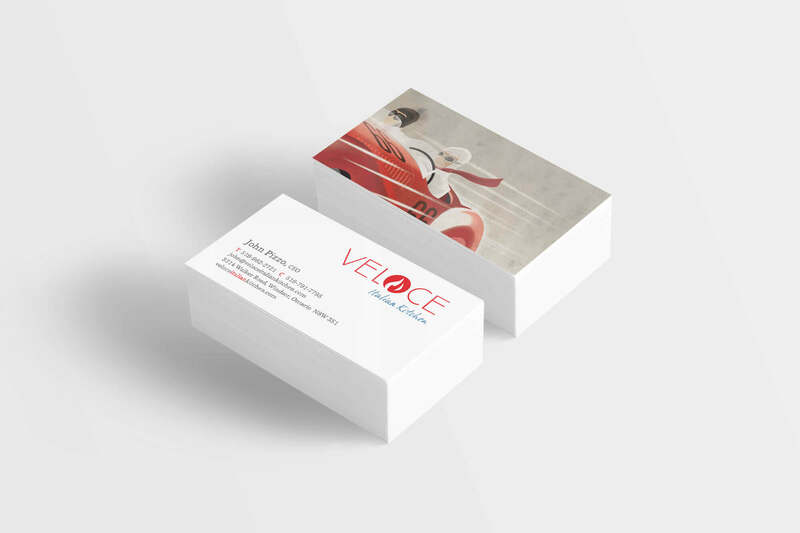 We then helped Veloce to ramp up their marketing by supporting their social media channels. 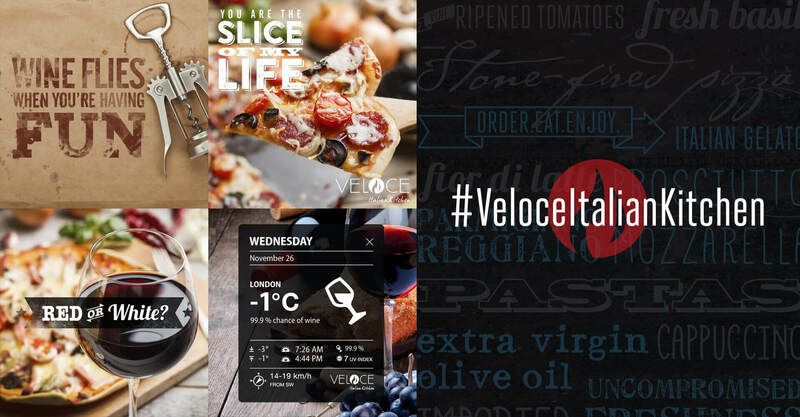 Veloce opened in London early in 2015, then later in Waterloo and Mississauga.